During a recent break in the action, a dance squad stormed the court for the Washington Wizards. Donning bright red, white and sparkly blue outfits, they spun, they shimmied, they even did some light twerking. 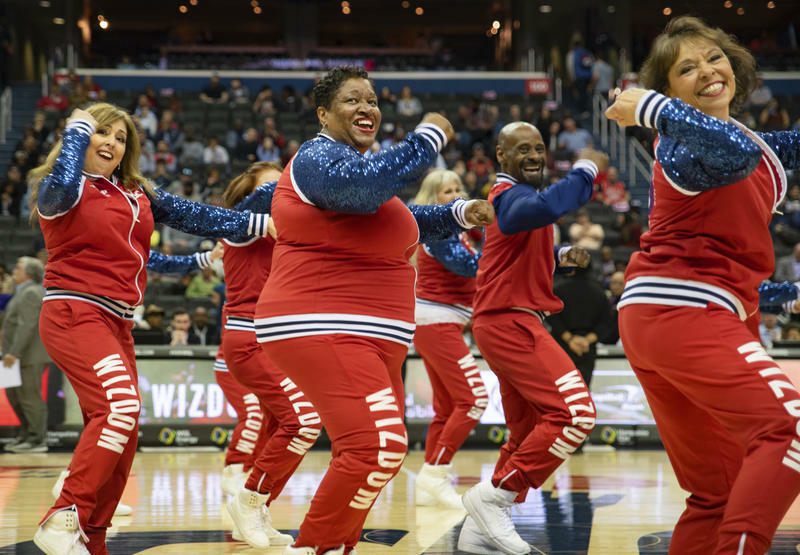 They looked like any dance team a fan might expect to see at an NBA game, except for one difference: They were all over the age of 50.